Aesthetically pleasing and fully functional, decorative bird houses are a charming addition to any garden, backyard or public space. 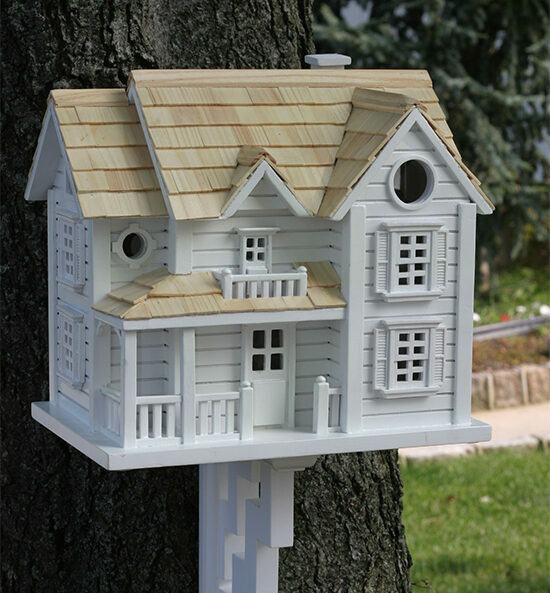 Each decorative bird house embodies the spirit of a time or place through the use of period and regional design elements and ornamental finishing touches. 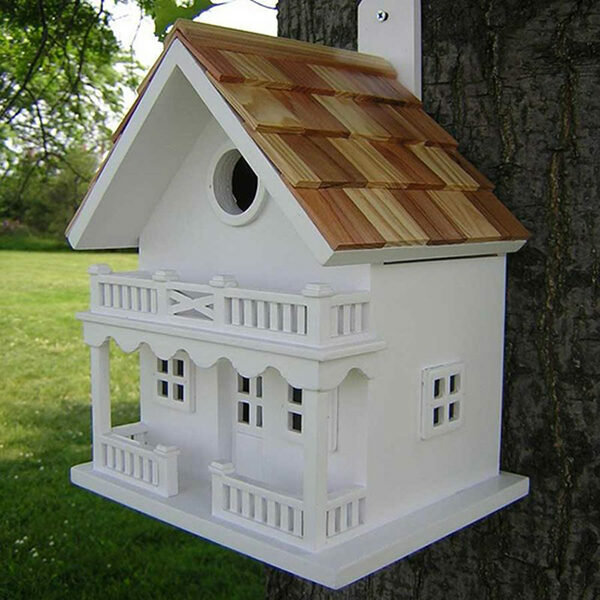 If you've been thinking about adding a decorative birdhouse to your yard, our top ten list of customer favorites includes design options for every style preference as well as functionality for most common backyard bird species including the Wren, Finch, Downy Woodpecker, Swallow and Nuthatch. 10. 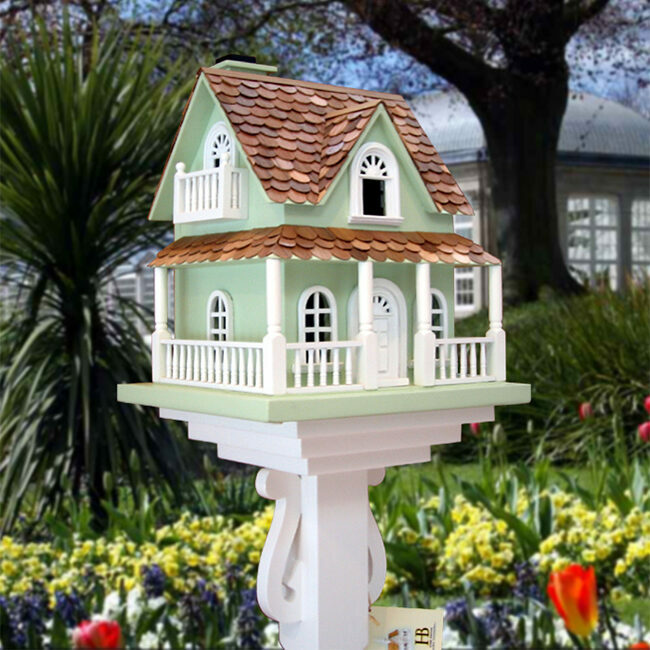 Arts and Crafts Bird House - Four stately pillars, an intricately carved door, contrasting green roof and siding colors and a stacked brick chimney make the Arts and Crafts birdhouse a signature accent to any outdoor space. Can we move in too?! 9. 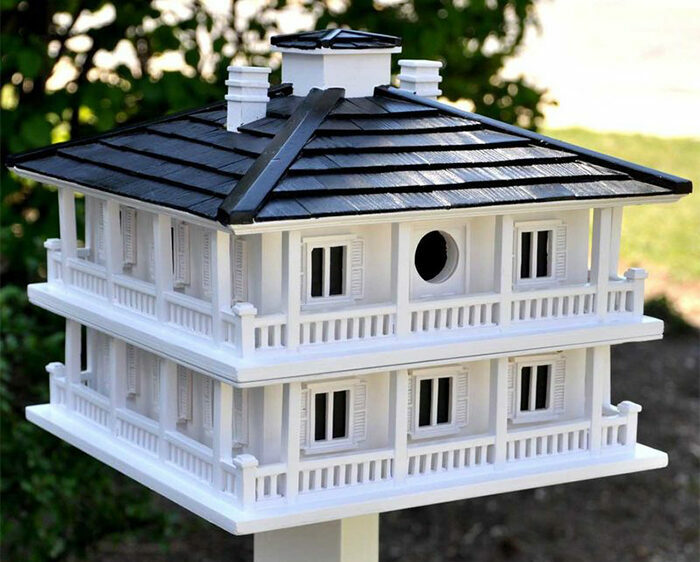 Purple Martin Clubhouse Birdhouse - Crafted exclusively to attract Purple Martins, this distinguished home was modeled after a famous club house located in the Golf Capital of The World! The Purple Martin Clubhouse features a spacious design and numerous openings to accommodate multiple nesting birds. 8. 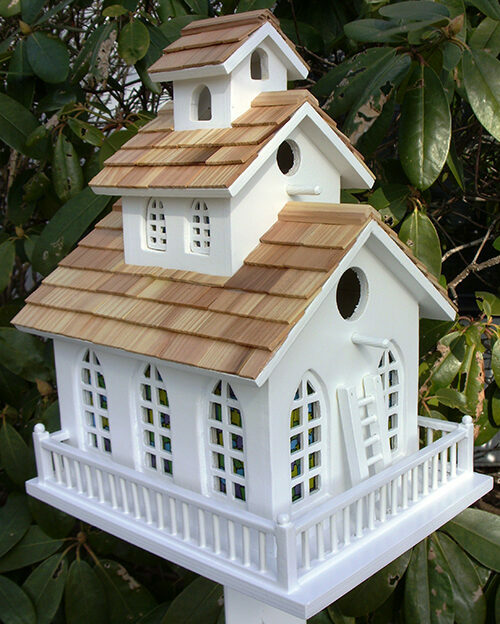 Victorian Manor Bird House - A true manor house in every sense, this Victorian style birdhouse comes complete with balconies outside every window, pine shingles atop a gabled roof and a charming side porch for birds to perch. 7. 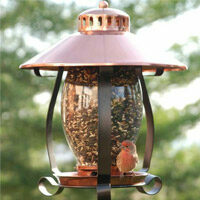 Chapel Bell Bird House - If we had to describe Chapel Bell birdhouse in one word, that word would be inspired! 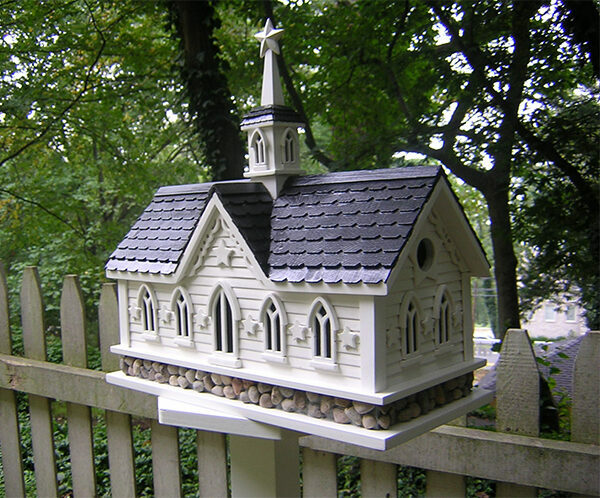 Stained glass windows, a three tiered pine shingled roof and a tiny bell inside make this decorative birdhouse truly unique. In addition to the Sparrow, Finch and Nuthatch, the Chickadee and Titmouse also consider the Chapel Bell birdhouse to be a desireable home. 6. 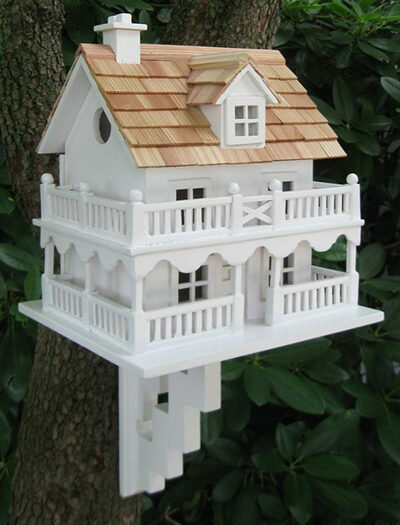 Star Barn Bird House - Inspired by the iconic Star Barn near Lancaster County, Pennsylvania, this intricately designed bird house is a charming piece of art for any outdoor space. Wooden stars frame arched windows, gingerbread trim adorns multiple gables and river stone pebbles help to elevate the country classic to a height of just over 1.5 ft.
5. 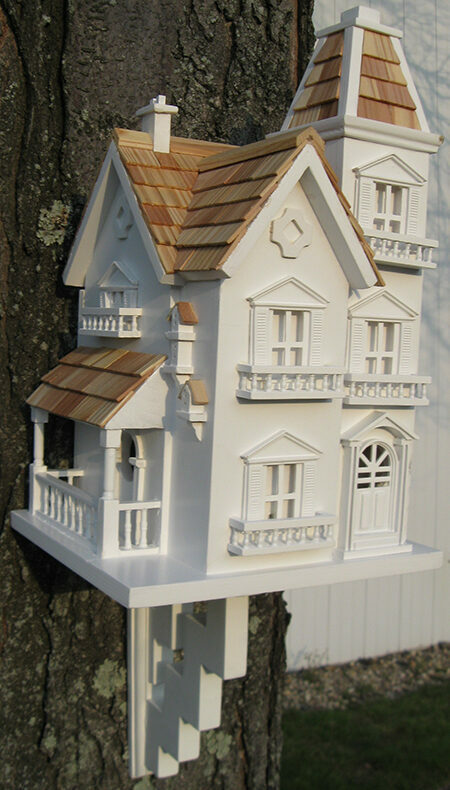 Cape Cod Decorative Birdhouse - Much like its namesake, the Cape Cod birdhouse is admired for its natural beauty. And, although there are many design elements to love here, the scalloped detailing above the porch is our favorite! We also love the fact that two separate spaces allow multiple bird families to call this beautiful house their home. 4. Kingsgate Cottage Bird House - Stacked roof lines featuring pine shingles, staggered gables and detailed window trimming? The Kingsgate Cottage has all the charm one bird could want! 3. Hobbit House - Straight out of the shire, the Hobbit House is a beloved customer favorite for it's natural green hue, curved western red pine shingles and intricate finishing details around the doors and windows. 2. 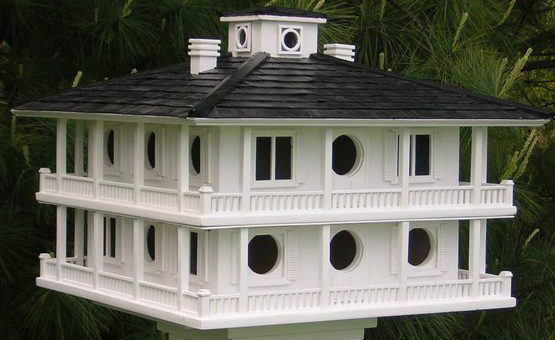 Clubhouse Bird House - The Clubhouse features windows with classic trim details and shutters, stately wrap around balconies and two separate nesting boxes for multiple families to use! What bird wouldn't want to live here? 1. 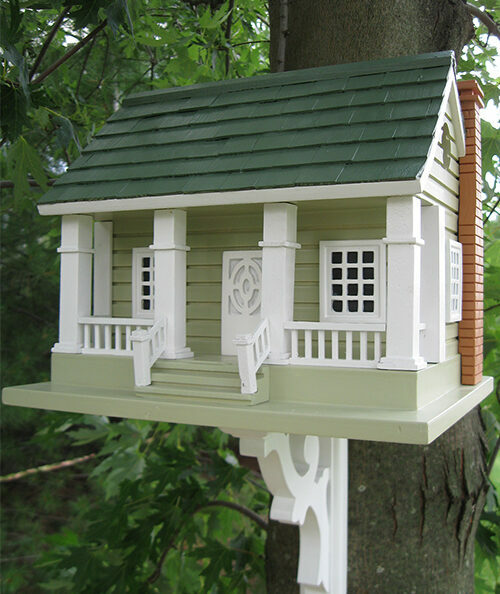 Chalet Bird House - A quaint two story bird house with a sloping pine shingled roof and double balconies featuring detailed railings and scalloped trim. 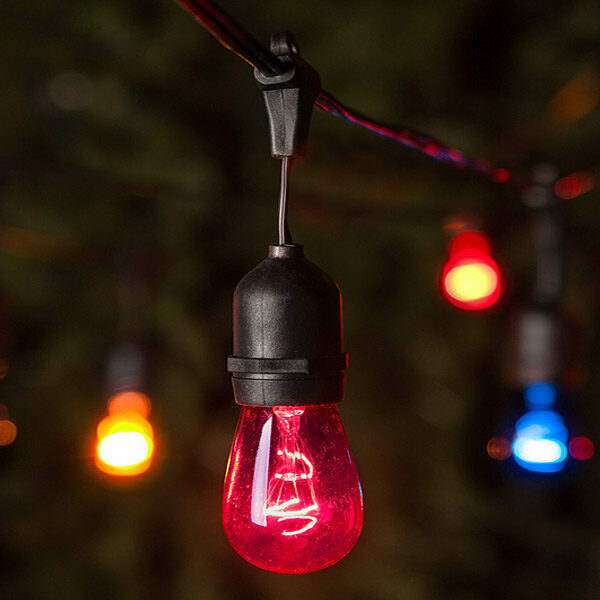 It's easy to see why the Chalet Birdhouse is our top customer pick! 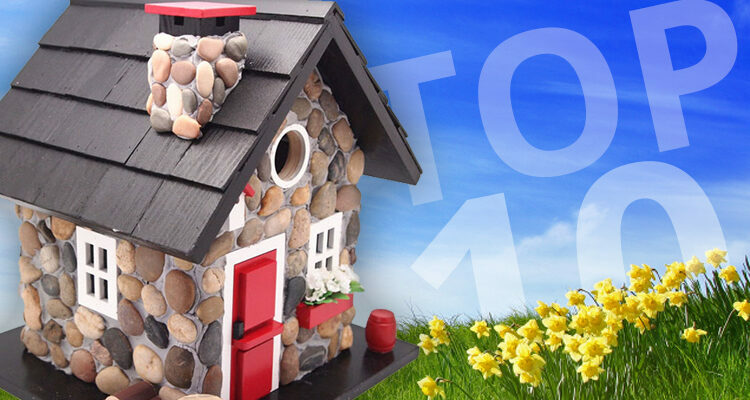 Share which of our Top 10 Decorative Birdhouse designs is your favorite, or let us know in the comments which house you think should be added to the list!